Toronto's rapidly rising prices for low-rise housing is driving up demand in Toronto's condo market, as buyers are increasingly looking for larger units. 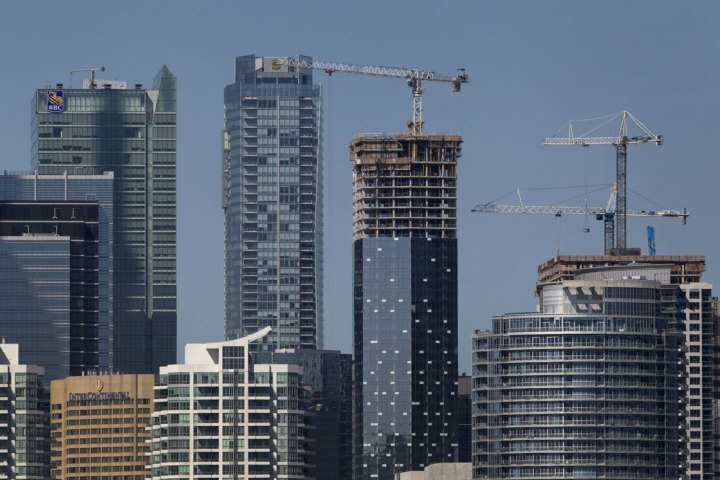 In its second quarter report, the firm said 7,731 new condos sold across the Greater Toronto Area, a 26% increase from a year ago and the second highest level of quarterly activity ever trailing only the 8,548 units sold in the second quarter of 2011. Urbanation says sales would have been even higher but supply has been unable to keep up with demand as new projects fell by nine per cent from a year ago to 5,106 unit. Unsold inventory in development dropped to 13,528. Part of the attraction for consumers could be prices, with the average index selling price for new condo apartments up only two per cent from a year ago to $582 per square foot. Toronto’s core had the strongest growth because of supply constraints, but prices there were up only 4% from a year ago to $662 per square foot. Growth in prices in the resale market for condos was even stronger, up 10% from a year ago to $498 per square foot. With demand for condos in the GTA pressing forward strongly, new projects are being challenged to enter the market in greater volume. Should current conditions persist, price pressures for high-rise units can be expected to build, particularly as low-rise housing remains afflicted by record-low supply. The Urbanation report comes on the heels of statistics released by the Toronto Real Estate Board Thursday, which showed it was the best July on record for the GTA’s existing home market. TREB said the average price of detached homes in the city of Toronto was up 20.7 per cent from a year ago, at $1,202,753. But across the GTA, the average price of an existing detached home is now $952,983 — closing in on the $1 million point reached by new homes earlier this year. Affordability and inventory issues plagued by the low-rise market is pushing more demand over to condos. Buyers that would have otherwise bought a house in Toronto are opting for larger condos. And with not a lot of supply of these units in the resale market, new condos have seen rising demand, which is leading developers to shift strategies and include more two bedroom and three bedroom units. The Urbanation report examined sales on the 20 top-selling new condo projects in the GTA, representing about half of all sales in the second quarter, and the share of two bedroom and three bedroom units increased to 44% of the market in the second quarter of 2016. A year ago the share was 35% and five years ago it was 27%. Three bedroom apartments only made up three per cent of the market, but a growing segment of the market are the so-called two bedroom plus den units, which made up 29% of sales. Five years ago those units were only 18% of the market. The growth in sales of larger units comes as one-bedroom unit activity dropped to 25% of the market, down from 30% five years ago. It does appear that developers are responding to the increased demand for condos as there were 73 commercial transactions for property sites in the first half of 2016, up from 47 acquisitions during the same period a year ago. The dollar value of those deals was up 13% from a year ago to $971 million. The former city of Toronto, representing the core of the region, is driving land demand. About three-quarters of the money spent on land acquisitions was within the old city boundaries.